Can you consistently set up your next shot and run the table? Do you know how and when to play successful safety shots? 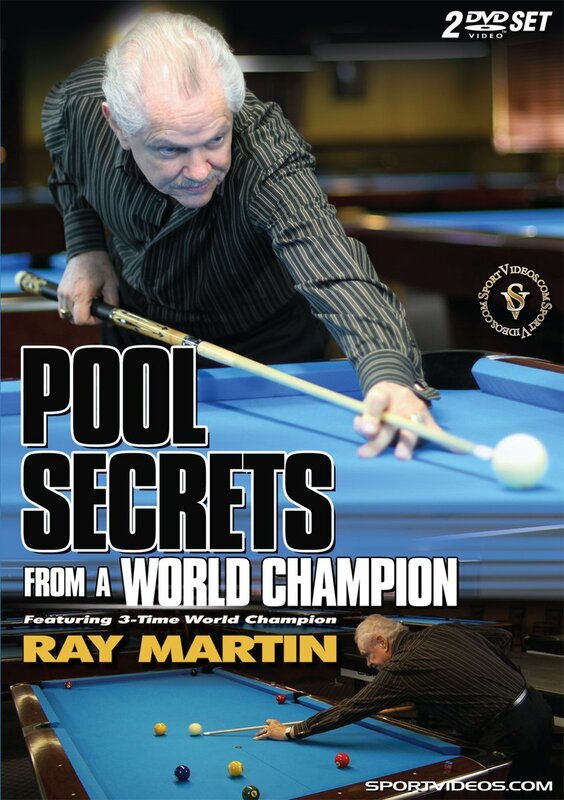 In this unique and comprehensive two-DVD set, 3-Time World Champion Ray Martin demonstrates these important skills and much more. Among the topics covered are equipment, bridges and stroke, spin and speed, how to aim, how to practice, several shots and variations, numerous safety shots, tips for breaking, bank shots, the kick shot, and a demonstration of running a 9-ball table. The DVD contains a pdf file that will allow you to print out shot and safety diagrams. Whether you are a beginner or an experienced competitive player, this program will help take your skills to a higher level. Ray Martin has been playing pool for over 50 years. He acquired the nickname of Cool Cat, when he calmly won a world title in 1971 in California when an earthquake was in progress during the event. Ray held the World Champion title in straight pool in 1971, 1974 and 1978. He has also has won several nine-ball tournaments, including the 1980 Caesars Tahoe Invitational, the 1981 ESPN King of the Hill, and the 1983 Music City Open. He finished 4th and 5th, respectively in the 1992 and 1993 BCA US Opens. In 1994, Martin was inducted into the Billiard Congress of America's Hall of Fame. In 2011, he was the first living player inducted into the Straight Pool Hall of Fame. Martin is the co-author of The 99 Critical Shots in Pool, one the most popular pool books of all time.